Garrett Swasey and partner Christine Fowler 1992 US Championships in Orlando. 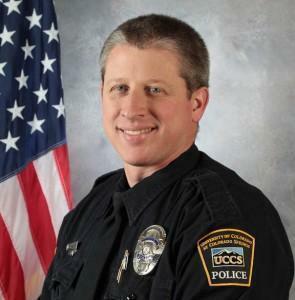 Police Officer Garrett Swasey was on duty Friday at the University of Colorado campus in Colorado Springs when the call came reporting shots fired at a Planned Parenthood center about 4 miles away. As a campus police officer, Swasey was not obligated to respond, according to a university spokesman. But friends and loved ones say he was a brave and compassionate man. And so he chose to go. 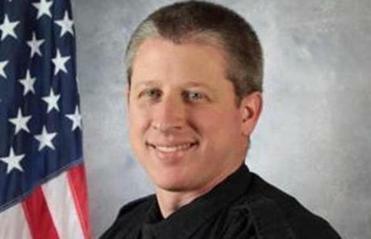 “He responded out of a sense of duty to the Colorado Springs community, as a state-sworn police officer,” said Colorado Springs police spokeswoman Lieutenant Catherine Buckley in a phone interview Saturday. The 44-year-old father of two, who grew up in Melrose, was shot to death during a firefight with alleged gunman Robert L. Dear, 57, who officials say stormed the clinic and opened fire, then holed up inside for hours, still firing, before surrendering. Two civilians were killed, and at least nine people were wounded. Garrett Swasey grew up in Melrose but moved to Colorado in the 1980s to pursue his first love — competitive figure skating. Swasey moved to Colorado in 1989, after graduating from Melrose High School, to pursue his passion for figure skating, according to his father. “Watch 96 Olympics. See you there,” read the caption that accompanied his yearbook photo from Melrose High School, according to local officials. Former Olympic figure skater Nancy Kerrigan, who grew up in Stoneham, expressed condolences to Swasey’s family on her Twitter account. “My prayers and love go out to Garrett’s entire family. Remembering a wonderful friend and person whom will be greatly missed!” she wrote. To those who knew Swasey, his decision to head toward danger to help, rather than stay safely on campus, was not a surprise. “He was always a righteous person. He was always doing the right thing and putting others before himself,” said Christine Fowler-Binder, his former skating partner, with whom he won the 1992 US Junior Ice Dance Championship. Swasey always listened to the police scanner and did more than was required of him as an officer, Fowler-Binder said Swasey’s mother told her. Melrose Mayor Robert J. Dolan, who graduated with Swasey, said at a press conference Saturday at Melrose City Hall that the officer always wanted to be an Olympian. “He was an Olympian in terms of law enforcement and as a dad,” said Dolan. Melrose Police Chief Michael L. Lyle said the department was mourning the loss of a fellow officer and that the city will hold a public memorial service. Dolan pledged not to let Swasey’s legacy die. “He will always be remembered as a native son of Melrose,” he said. Swasey joined the university police force in Colorado Springs six years ago and also served as a co-pastor of Hope Chapel in Colorado Springs. On Friday night, Swasey’s father, David, of Colorado Springs, said his son was a wonderful father, with a little boy and girl, who had dedicated his life to helping people, spiritually and through his police work. A biography on Hope Chapel’s website says Swasey provided oversight to the chapel’s care groups, worked on the teaching team, and shared “his guitar skills on the worship team.” His wife, Rachel, the biography says, worked behind the scenes and watched children in the nursery. Garrett Swasey’s family voice-mail message on Saturday asked for privacy. At the university where Swasey served, moments of silence were planned Saturday in his honor before scheduled basketball games. Police across the country offered expressions of sorrow for his killing. Officials have not commented on the alleged shooter’s motive or said whether Planned Parenthood was targeted. The Washington Post, quoting an unnamed law enforcement official, reported on Saturday night that the gunman used the phrase “no more baby parts” after being taken into custody. The official said the attack was “definitely politically motivated,” the Post reported. Locally, the antiabortion group Massachusetts Citizens for Life joined the National Right to Life Committee Saturday in condemning the attacks. In a statement, the Planned Parenthood League of Massachusetts said the organization’s top priority was the safety of patients and staff. “We don’t yet know the full circumstances and motives behind this criminal action, and we don’t yet know if Planned Parenthood was in fact the target of this attack,” said Jennifer Childs-Roshak, president and CEO.